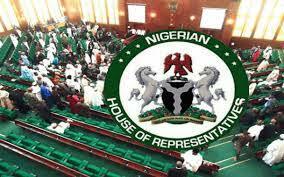 ABUJA—AS the debate on restructuring Nigeria for better governance rages on, members of the House of Representatives, yesterday, expressed divergent views on the issue. While some of the lawmakers felt that Nigeria should be restructured economically and politically, others contended it was a wasteful effort and a new swan song that would further aggravate the precarious situation in the country. Some others with extreme position, said Nigeria could split peacefully to avoid a senseless war. In his remarks, Aliyu Madaki (APC, Kano) said Nigeria could split peacefully to avoid a senseless war like that of 1967. He said:“Get me right, I’m not saying that the message of restructuring is not right but the messenger, Kanu Nnamdi, is not doing the right thing. Instead, he has been fanning the embers of war. On his part, Chairman, House Committee on Public Petitions, Uzoma Nkem-Abonta (PDP, Abia), contended that if Nigeria must restructure, it must be all encompassing, embracing geographical, economical and political restructuring. He said: ‘’A situation where representatives from one state are more than that of a whole zone is questionable and must be addressed. A situation where you have 48 local governments in one state more than that of a zone must be readjusted for the sake of equity. Minority Leader of the House, Leo Ogor (PDP, Delta), noted that restructuring would take the nation out of the wood, adding that for the nation to move forward, economic restructuring needed to be done, so states could have control over their resources. He said that states should be allowed to run their affairs, adding that as soon as economic restructuring was done, political restructuring would fall into place. Also, Chairman, House Committee on Basic Education, Zakari Mohammed (APC, Kwara), said restructuring was a wasteful venture. He said until the nation did away with suspicion and the citizens learned to trust themselves, the issue would continue to plague the nation. In his comments, Tajudeen Yusuf, PDP, Kogi, said the 1999 Constitution was a fraud, pointing out that what was being operated as a constitution was prepared with military mindset. Yusuf, who noted that there was a deliberate effort to frustrate the amendment of the constitution, said: “If you don’t fix your situation, time will fix it for you. As long as we don’t deal with restructuring, the issue of agitation will always come up. Chairman, House Committee on Customs, Abiodun Faleke,APC, Lagos, said until the leaders of the nation sat down and put things in the right perspective, things would never work. He said until sentiment, favoritism, nepotism, tribalism and religion were done away with, things would not work in the country. The lawmaker noted that there was no obedience to the rule of law and that there was no unity among the people. “The first approach to restructuring is to ask why is this agitation coming up now and why is it becoming so strong in the country? Leaders need to sit down and think. Do we actually have a country? Are we operating a country or cabal system of government? In his view, Ehiozuwa Johnson Agbonayinma, PDP, Edo, noted that those agitating for restructuring of Nigeria didn’t mean well for the country, stressing that the agitation was primarily designed to further heat up the polity. He said further: ‘’This nation belongs to all of us. Looking back, our past heroes probably will be crying and lamenting in their graves that this is not the Nigeria they fought for, the Nigeria of their dreams.